Pokemon SoulSilver Version (AKA ポケットモンスター ソウルシルバー Pocket Monsters SoulSilver in Japan) is a wonderful 2009 RPG video game developed by Game Freak and published by Nintendo for the Nintendo DS handheld console. 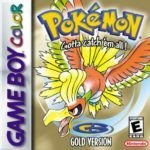 It is a remake of Pokemon Silver Version for the Game Boy Color and it was released alongside HeartGold Version. 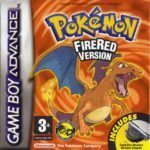 SoulSilver Version offers captivating and enhanced features such as touch screen options, updated graphics, timeless adventures, and heart-warming stories. It takes place in some parts of the Kanto region and in the Johto region. At the beginning of the game, you have to choose a starter monster. You can select either Chikorita, a grass type pocket monster, Cyndaquil, a fire species, or Totodile, a water type crocodile-looking creature. After completing the first quest, professor Elm gives the chosen creature to the protagonist and sends them off to a journey to collect, classify, and discover monsters throughout the Johto region. As the protagonist, you have to collect Pokémon, train and evolve them, beat fellow trainers, collect badges by defeating gym leaders, and defeat the elite four to access all areas in the game. After defeating all of the eight gym leaders, you can challenge the Elite Four, and after beating the Elite Four, you can battle against Red, the final boss of the game. Pokemon SoulSilver Version is a console-style role-playing video game with adventure elements. The mechanics of the game is similar to its predecessors. You’ve to collect monsters and train them to level them up and to help them reach their final evolution. The gameplay is seen from a 3rd person perspective. It is consists of three basic screens: a battle screen, the menu, and a field map. In the game, you can use monsters to deceive or battle others. You can also form trends and alliances using the Team Rocket networks. For a DS game, Pokemon SoulSilver Version has beautiful and advanced 2D graphics. It’s more attractive than other games of the series. It’s a polished and enhanced version of Pokemon crystal, so you can expect stunning and cute pocket monsters and colorful 2D structures. The game features detailed graphics and spotlights its unique environments. You can even interact and see one of your beloved monsters outside of battle by selecting it from your team. It will then follow you everywhere you go in the game. Pokemon SoulSilver Version, like HeartGold, is the first ever 2D Pokémon game with some 3D features. Nevertheless, many gamers consider it as the definitive version of the series. The game offers a new legendary monster: Lugia. A national park wherein you can capture various species, including rare ones that can only be found in remote areas. Over 180 different creatures to catch and evolve. The game offers new features, places, and pokemon. 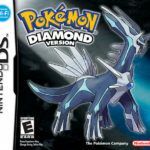 According to critics like Eurogamer and GameZone, SoulSilver is one of the best DS games. 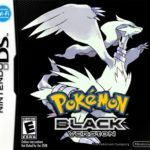 This is one of the most popular Pokémon video games of all time; It sold nearly 13 million copies. Pokemon SoulSilver Version game has been only ported to NDS.